Hello, my name is Mark Williams and I'm here to help you get in the best shape of your life. Here's the deal. 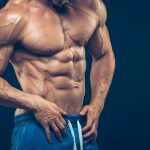 MassGainSource.com is a website full of useful workout guides, diet tips, supplement recommendations, and anything else that is safe, well-researched, and that will help you achieve your goals in the gym. To answer that great question, I'll need to tell you something about myself. Going from high school into college, I'd never set a foot in a gym. At six foot three, I was tall (still am) and I was one of those kids “blessed” with a fast metabolism. You remember that kind of kid, gangly with a big Adam's apple? Yep, that was me. The reason I put blessed between quotation marks is because it's not always that great having a fast metabolism. Particularly not when you're suddenly in college and you see all the rugby dudes with the pretty girls sticking to them like magnets on a fridge. And I wasn't just a tall guy. I was paper thin. No muscle whatsoever. But even then, it took me two years of conflicted feelings and failed attempts before I started going to the gym consistently. I was twenty years old. 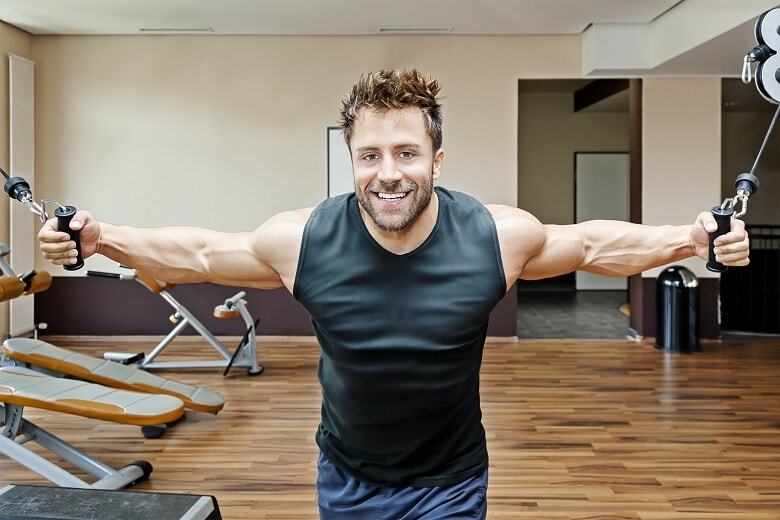 It might be a typical thing to say, but that consistent gym routine… It changed my life. I started growing muscle, I ate more and better, and I became a normal guy. Not huge, just muscled enough that people would start saying something about it. After a few years, I pretty much became an extra employee at the gym I went to. Not the college gym, just a regular gym with everyday people trying to get in shape. They didn't have PTs so I ended up helping people myself. It came quite naturally to me, and I decided to become a professional trainer. I started helping gym members in a professional capacity. People were happy, and I kept experimenting with different workouts, diets, and supplements. By the time I was 29, I looked at the online fitness industry and just felt that something was missing. It took me a while to figure out what it was, but it eventually dawned on me. Where's the normal dude or gal? Where's the person who understands that people work hard to earn a living in a job they only kinda like, who understands that people try to stay healthy, but want to eat a pizza sometimes, who understands that taking good care of a family takes a lot of time too? Someone like that was nowhere to be found online. So I thought it might be the time I become that person myself. Mass Gain Source is the result. I want it to be the place for well-researched content on effective workout regimens both for beginners and for people who are a bit further along, sustainable diets, and high-quality supplements. All safe and, perhaps most importantly, well-researched. No fads, no fakes. Just an emphatic approach to getting in great shape. And to show you I mean it, and because the “About Me” page is the second-most visited page on any website (after the homepage), here's my philosophy on the big three: Mindset, Diet, and Fitness. After years of working out, I've come to the realization that willpower is overrated. We're not that good at forcing ourselves to do things we don't want to do. And let's admit, we don't always want to go to the gym. Here's how you can work around that problem: you create what I call a flexible habit. I'll give the example of my own life: I work out five times a week, every morning for an hour. So I have two days where I'm free, and usually, that's Thursday and Sunday. But if I don't particularly feel well Saturday morning, I just shift my workout to Sunday. This way, you have the routine (every morning from 7 AM to 8 AM), but also flexibility (two days a week). It's what has worked for me for years. The reason I put the diet before fitness is because a diet is the most important factor is losing or gaining weight. I follow a Paleo-ish diet and try to stay relatively low on complex carbs. I'll readily admit I've grown into a bodybuilding enthusiast over the years. But it was a slow process. The key to motivation in fitness is knowing how you want to look like and understanding why you're doing it. And you know what, you can get really advanced if you like (and there's some advanced content on this website), but if you're starting out, it doesn't need to be complicated. 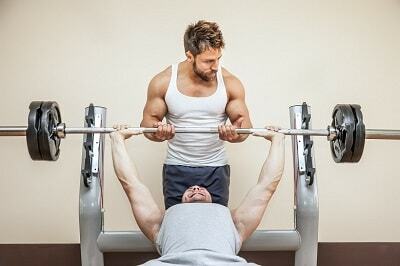 The basic full-body exercises that you know (bench, squat, deadlift) are pretty much the best exercises possible. You can complicate it all you like, as long as it doesn't demotivate you or stop you from going to the gym at all. Having a terrible workout program but going consistently is much better than having the best workout program and not being consistent. So there you have it. A bit about me and why I started this website. I hope my content helps you in your journey to a new body. You can also hit me up on Facebook. Disclaimer: MassGainSource.com represents my personal opinion on supplements, diet plans, workout regimens. Although I strive for my content to be as well-researched as possible, this website does not and never will offer medical advice.